British Transport Police are appealing for information after a woman was robbed of her phone and handbag as she waited for a train. 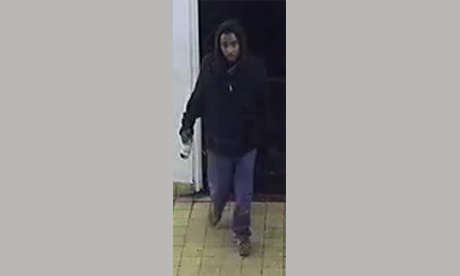 CCTV images show a man that police are keen to speak to in relation to the robbery, which took place at London Fields station. Detective Constable Paul Cudby said: “The victim, a 27-year-old woman from London, entered London Fields station by herself at 12.10am and sat on a bench on the northbound platform. The victim was pulled to the ground in the struggle for her bag, leaving her motionless for several minutes and with cuts and bruises to her face. The man ran out with the large grey and brown bag via the Martello terrace exit of the station, fleeing with two mobile phones, a set of keys and a dark green purse. Anyone with any information is asked to contact British Transport Police on 0800 40 50 40 quoting background log B5LNA of 29/01/2013.